Big spacious denim shoulder bag so that you can have lots of room for a laptop and magazine plus all your daily essentials. 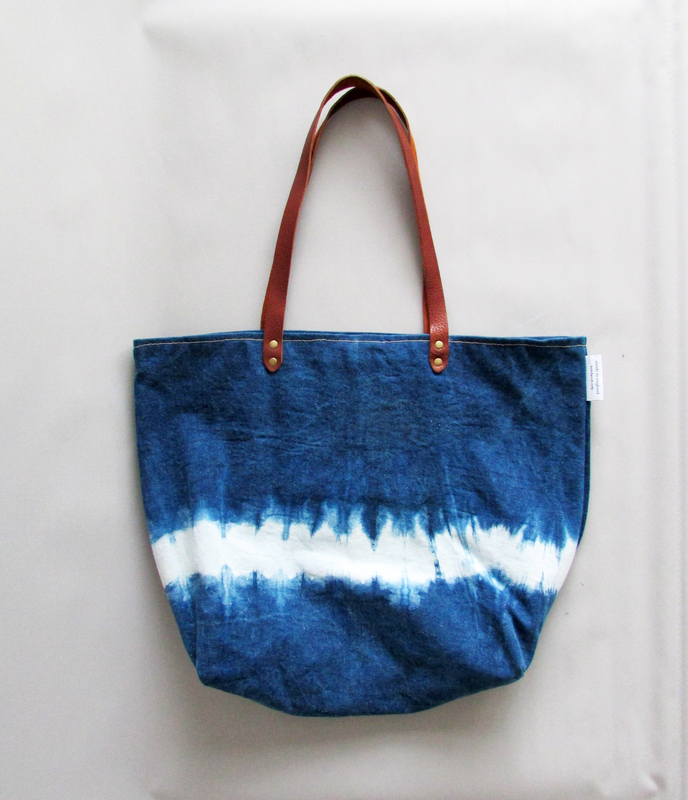 Hand-dyed denim shoulder bag in natural indigo. Big spacious navy over the shoulder bag so that you can have lots of room for a laptop and magazine plus all your daily essentials. 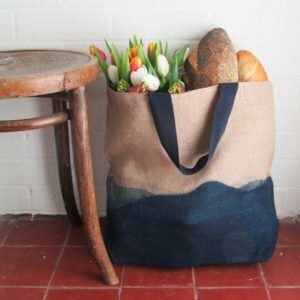 Main bag made from hard wearing indigo denim fabric in a unique shibori pattern. Handy inside zipped pocket so that you can keep your valuables safe. With its true rich indigo hue and spacious body this extra large shoulder bag will become your dependable daytime staple that you can throw over and complete any look. 100% cotton outer and inner lining. Antique brass zippered inside purse pocket. This navy over the shoulder bag is made to order and delivery time is 2-3 weeks. Really, really pleased with this tote. Large enough for a quick shopping trip but stylish for everyday use too. Exceptionally well made with a separate pocket inside for safe storage of pures/phone etc. Strong and secure leather handle. I really recommend this attractive tote.